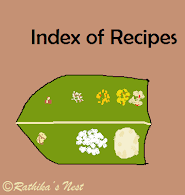 In Tamil Brahmin traditional cooking, recipies involving yam or ‘elephant foot’ (சேனைக்கிழங்கு) are rather limited. Hence, I have always been on the look out for new yam recipes. Today, I wish to share one such recipe with you. Here we go! Method: Soak tamarind in ¼ teacup (50 ml) of warm water. Peel the skin of yam and wash very well in running water. Cut it into slices of ¼” thickness, preferably squares of approximately 2” size. Squeeze the tamarind and extract the juice. Boil yam pieces in tamarind water. Reduce the flame and add required salt. Cover and cook on low flame till the vegetable is almost cooked, and is firm to touch (Figure 1). Do not overcook the vegetable. Drain excess water, if any. Mix coriander powder, red chili powder, turmeric powder and asafoetida in a plate. 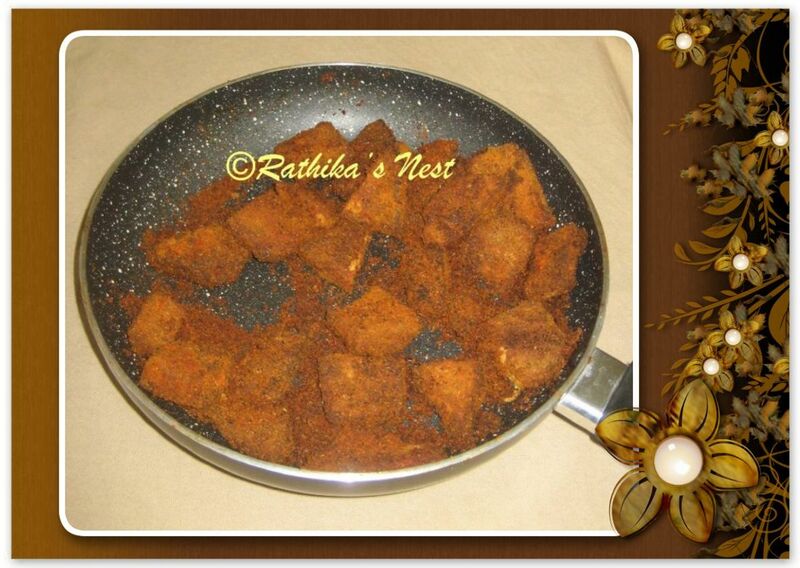 Take a piece of yam and coat it with the masala as shown in Figure 2. Repeat the process with all the yam pieces and keep aside. Heat oil in a sauce pan or tawa; place the yam pieces side by side as shown in Figure 3. Cook on medium flame, turning the pieces over as needed till they turn crispy and golden brown on all sides. Garnish with curry leaves. Serve hot with rice and sambar, rasam or dhal.